Articles about natural nutrition and natural healing! I am writing this article because there is so much that is confusing about what people hear about fat, cholesterol and health. The processed food industry has done its best to make it confusing since fat is a cheaper food ingredient that increases shelf life. The first place to start to make things more clear is to understand that fat is made up of fatty acids. Fatty acids are the building blocks of fat just as amino acids are the building blocks of protein. I know this sounds very confusing because some of us may have read about essential fatty acids that are healthy for us. Some of us may even know that essential fatty acids help the body to break down fat and cholesterol. Essential fatty acids then that are found in fish oil, flax seed oil and avocados help to heal and keep a person healthy. Although the human body is capable of producing its own fats some fatty acids that a person needs can only be obtained from foods in the diet which is why they are known as essential. Some fats, especially essential fatty acids, are necessary for the digestive system, for healthy cell membranes, hormones and for a healthy nervous system. It is impossible to write about fat and cholesterol as separate subjects because of how closely these nutrients are related. It is important to understand that fat is a necessary nutrient. Lots of fat in the diet of infants until the age of two is important for proper growth and brain development. After this age the percentage of fat intake compared with the overall caloric intake in a person’s daily diet should be much less. Fat has the highest concentration of calories of any nutrient, far more than carbohydrates or protein. Excess carbohydrates are stored in the liver. Far more excess of carbohydrates in the diet will result in the body storing the excess calories by converting them to body fat. The liver converts saturated fat into cholesterol. Cholesterol is a component of cell membranes and is necessary for the transport of fatty acids. The vehicles for transporting cholesterol are known as lipoproteins. This word is derived from lipids which are nutrients that are soluble with the same solvents as fat. Cholesterol is necessary to protect the brain cells from toxins while allowing the flow of messages from the brain to the rest of the body. Does this help to explain then why essential fatty acids are necessary for proper brain function? This is where it starts to get complicated. Many people have heard that there is a good cholesterol and a bad cholesterol. Unfortunately with the way people are given infomercial articles and hearsay this may cause confusion between essential fatty acids and “good cholesterol”. These are not the same thing but are related and I will explain why. Cholesterol that is transported by high density lipoproteins known as HDLs is considered to be the good cholesterol and the cholesterol that is transported by low density lipoproteins known as LDLs is considered to be the bad cholesterol. Excessive fat consumption and excess bad cholesterol lead to a build up of a layer of fat and plaque along the inner linings of the veins and arteries. This eventually can lead to arteriosclerosis, also known as hardening of the arteries. The bad cholesterol can eventually cause the lining of the cells to harden and tear leading to internal bleeding and blood clotting. The restriction of the flow of blood due to the lining of plaque in the blood vessels and the high serum cholesterol level in the blood will lead to high blood pressure. This means the heart has to work harder to deliver blood to the body. The good cholesterol aids in helping the blood to flow and in keeping the blood vessels clear. This aids in removing fat build ups and removing toxins from the body. This is because HDLs remove the excess cholesterol that is unneeded from the cells returning it to the liver to be broken down and removed from the body. If fat is made up of fatty acids how then do essential fatty acids help the body to be healthy? To explain this I have to explain that there are three categories of fat. There is saturated fat, monounsaturated fat and polyunsaturated fat. Most people know that saturated fat is bad for a person but many mistakenly think that polyunsaturated fat is the healthiest kind of fat since those who understand something of scientific terminology know that mono means one and poly means many. This may cause people to think that polyunsaturated then would be less saturated. This may be true but I will explain why we need all three kinds of fat in our diet every day and why monounsaturated is the healthiest kind of fat that we need the most of. Saturated means saturated with hydrogen molecules. The more saturated with hydrogen molecules the fat is the more difficult it is for the body to break down. As well it is the saturated fat that the liver processes into cholesterol. Polyunsaturated fats destroy cholesterol, both the bad cholesterol and the good cholesterol. The body needs the good cholesterol for proper brain function and healthy blood vessels. Monounsaturated fats destroy the bad cholesterol but leave the good cholesterol. Trans fats are the result of a process by which processed food companies artificially add hydrogen molecules to vegetable oils. Why would food companies add hydrogen molecules to oils in their food products? 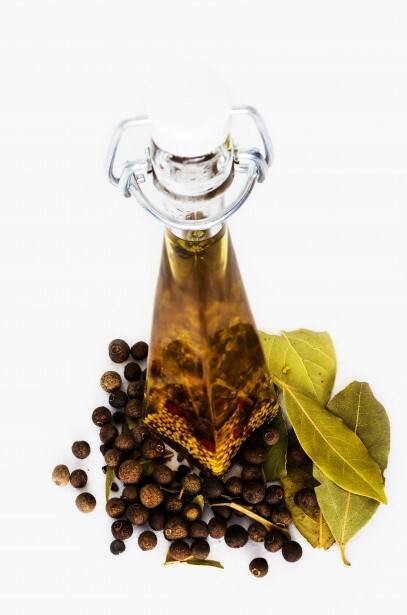 One major reason is longer shelf life since good oils break down with heat and time. The more saturated with hydrogen the oil is the longer the shelf life. Processed food companies in fact originally created margarine with hydrogenated oils as a supposedly “healthy” substitute for butter which contains natural fat. Adding hydrogen molecules to oil can make the oil solid at room temperature. This is why it is better to use vegetable oil that is high in monounsaturated fat than to use oil that is high in saturated fat or to use vegetable shortening. What makes things even more confusing is that although monounsaturated fat is the healthiest kind of fat if it has been hydrogenated it will increase the bad cholesterol and decrease the good cholesterol. Originally I was warning people about hydrogenated oils before the term, trans fat, was created. Subsequently processed food manufacturers started putting messages on the labels of their food saying, “contains no hydrogenated oil”. Now food companies put on their labels “contains no trans fats” or includes in their nutritional information section “0% Trans Fat”. Since fat has the highest amount of calories of any nutrient it is recommended not to exceed 20% fat in overall caloric intake during the day for adults. This entry was posted in Natural Health, Nutritional Health, Organic Food and tagged cholesterol, essential fatty acids, fat, health, Natural Food, Natural Health, Natural Nutrition, Nutrition, trans fat on June 13, 2015 by markalbertoyodernunez. Put package of fresh, seaweed in a vegetable wash basket or colander within a large bowl and fill with water. Agitate seaweed with hands, pour out water. Repeat this process until all of the sea salt is rinsed out of the seaweed. In a mixing bowl combine grated garlic, olive oil, vinegar, agave nectar and soy sauce. Add ground mustard seed and paprika. Add fresh seaweed to bowl of dressing, stir and let marinate. Break up pieces of your favorite kale (such as Russian kale) and break up pieces of radicchio. Place kale and radicchio in a bed on each plate for serving. Top with some marinated seaweed and dressing. Top again with chopped red onion, avocado slices and chopped tomatoes. And that’s it! The ultimate seaweed salad. Add more soy sauce and vinegar to taste. 6 to 8 servings depending on how huge of a salad you want! Hint: Add a few tablespoons of organic, flax seed oil to dressing or a tablespoon over each serving for extra nutrition and healing power. Hint: Radicchio is a type of lettuce that is loaded with minerals and vitamins. 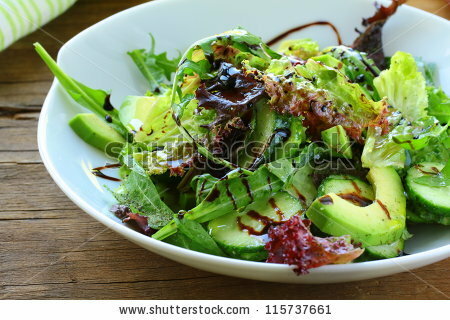 This entry was posted in Natural Health, Organic Food, Recipe and tagged Natural Food, Natural Nutrition, Recipe, Salad, Seaweed on October 29, 2014 by markalbertoyodernunez.